So you’ve been writing beautiful blog posts for a few years and now you need them to rank. You’ve got answers to questions, and people searching the internet should find you first, right? Right! Let’s talk about how we can rank blog posts. As of late, I’ve written and optimized more blog posts than service pages, or the “money pages,” on websites because blog posts can be the biggest traffic generators to your website. You write a helpful blog post and then you share it on social media. Maybe others share it, too. And then, there’s the chance it ranks #2 in organic search results or maybe it appears as a featured snippet! Don’t underestimate the power of your blog posts. As much as we all want visitors to click on a service page and buy right away, it might take a few touch points or visits to your website before they convert. And that’s totally normal for most businesses online. In this post, I’ll walk you through a few proven strategies that will bring new life to old blog posts and tips on how to take your top-performing blog posts to the next level with simple optimizations. Whether you’re just getting started with your blog or you’ve recently invested more in content marketing (yay! ), here’s how I approach blog posts with SEO (search engine optimization) in mind. What problems does my business solve? Using tools like SEMrush, Moz and Ahrefs can give you helpful insights on the keywords. However, if you’re not able to invest in one of these tools, you can create a free Google Ads account and use the Google Keyword Planner. The goal is to find keywords with higher search volume and lower competition. Why? Because those will be the easiest to gain rankings for. When you have a list of about 10 keywords, start thinking about blog post topics that you can easily incorporate the keywords inside the title and within the content naturally. For example, let’s say you’re a plumbing company in Minneapolis. You probably want to rank for plumber, Minneapolis plumbing company, best plumber in Minneapolis. And, after some thoughtful brainstorming you’ve also come up with the following keywords: water leaks, water heater replacement, drain cleaning. Notice there’s a keyword in all three of those titles without feeling forced. It’s easier to think about blog posts as answering questions, and then you can expand upon them with additional supporting blog posts. This doesn’t mean you only have to publish blog posts that are keyword focused, because sharing an award or a local volunteering event are great social media engagement posts and it’s recommended to have a healthy mix of both. Keyword breadth and depth are both important to Google and other search engines. So, whenever you’re working on a new blog post think about how can you link to another blog post on your website. Or, what can you add to this blog post that isn’t covered in a competing blog post? Post something new on a regular basis, but don’t just write something to write something. If you can’t come up with a new topic, go back a few years and find a blog post that could be made into something new with a few updates and re-publish it as a new post. It’s less work and Google will appreciate your efforts on keeping content relevant and up-to-date! Which brings us to our next topic, bringing new life to old posts. Download Screaming Frog if you haven’t already. I’d recommend investing in a license, and once you do, this process will be much easier. Before running a crawl on your website, configure the settings to connect with your Google Analytics account. Set the dates back to the beginning of your blog posting efforts up until now. You can take it a step further and only ask Screaming Frog to include your blog post URLs. This might save you a few minutes of waiting time if you have a large website. Once the crawl is complete, you’ll be able to look at blog posts that have received very few or absolutely no sessions in the last X years. Export this data and start making your way down the list. 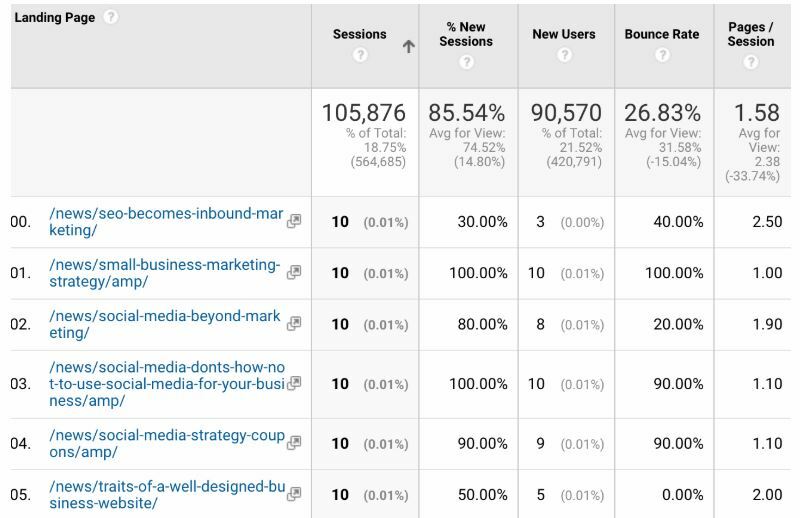 If you don’t connect Screaming Frog and Google Analytics, you can still find this data in Google Analytics under behavior > landing pages > sort by # of sessions. You can filter it even more by only including your blog post URLs. There are options after you have your list of blog posts that haven’t seen the eyes of a user in years. First, make sure the topic is still relevant. If it no longer makes sense, it’s safe to delete the post altogether. If there is still some points in the content that make sense, put those into a word document and reuse them in another post. Take the content from all of them and build one long blog post, adding in any missing information. Then, once you publish the new masterpiece, redirect the original five blog posts and draft/delete them. Looking at those blog posts in the image above, we would probably want to learn why these blog posts haven’t seen more than 10 posts in the last 4 years and either update them or remove them entirely so Google doesn’t waste its time crawling pages with zero user engagement. Pro tip: Don’t forget to add an annotation in your Google Analytics each time to publish a new blog post so you can track if these blog posts are improving, or if they continue to see little traffic and engagement. Now that you have your list of blog posts that need a lot of attention, we’ll shift gears to the blog posts that have been bringing your website traffic for awhile now. We call these evergreen blog posts. You can run through the same process as before with Screaming Frog and Google Analytics, or you can take a look at the top landing pages in Google Analytics > Apply a filter to only show blog posts > Sort by # of sessions and/or # of goals completed. I’d also recommend extending the dates to show at least two years’ worth of data. This will give you an idea of which blog posts are bringing in consistent traffic AND which ones are also converting visitors into customers or leads, whether that’s an email newsletter signup, submitting a contact form or purchasing a product. There are a few ways to optimize the blog posts that are already performing. Whether you want to improve the ranking from #3 to #1, or perhaps you’re trying to land the featured snippet position, these are surefire ways to improve the post’s engagement and visibility. There are videos, GIFs and images galore. Have some fun and break up your content with engaging visuals. And, there’s the option of turning your content into an infographic or slideshow. Lists are usually the best types of content to turn into an infographic. I recently wrote an ebook with Venngage on how to implement this strategy. The ebooks walk you through the process, step-by-step, improving your blog posts with visuals and ultimately optimizing them to rank higher. P.S. Don’t forget that ALT text! Another tool I’ve recently started using regularly is Page Optimizer Pro. It’s sole purpose is to help you optimize your content against the competitors. After you fill in the blanks, the tool will run a report in less than 3 minutes and return a list of content recommendations, like increasing the amount of keyword mentions or maybe decreasing in specific areas such as the H2. Personal tip: don’t do everything this tool recommends. (It even says this in their best practices!) Double check your content against the competitors especially before removing keyword placements, because if they don’t mention the keyword on their page as much as you do, it may not be a bad thing that you have more mentions than them. Are you using H2s, H3s, and even H4s? Are you adding bullet lists? Ask yourself: is this content skimmable? Because that’s what everyone is going to do. If you have 5-sentence paragraphs and no text formatting to highlight important aspects of the article, chances are you may see a high drop-off in readership early on in the article. There you have it! 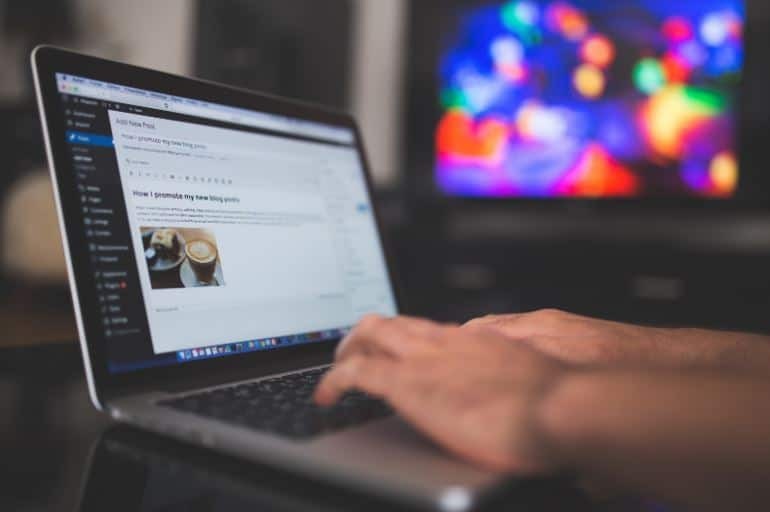 From brainstorming keyword-focused blog post topics to optimizing older blog posts, these strategies will allow your blog to reach new heights and drive more visitors to your website as your rankings improve. BIO: Amber Ooley is Thrive Internet Marketing Agency’s digital marketing manager. She loves writing & optimizing content and moving on up in search results. In her free time, you’ll either find her nose deep in a good book or exploring the great outdoors.